craftytammie: Lark Crafts Book Giveaway! Lark Crafts is the sponsor for this amazing giveaway! Not one, but TWO new books! 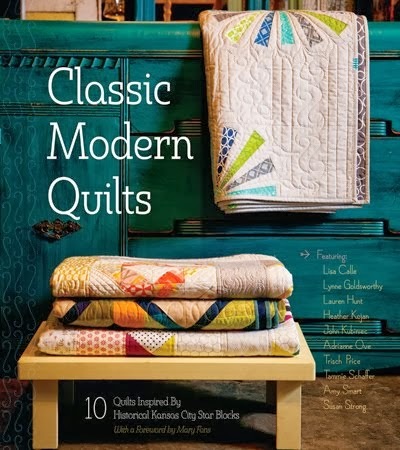 I love craft books, especially quilting ones, and these are two titles I'm dying to get my hands on! So a huge thanks to Amanda and Lark Crafts for this generous giveaway! Giveaway ends noon CST 11/19/2012. Winner will be notified by email and have one week to claim prize. International welcome! I really hope Santa is giving me Heather Ross Prints this Christmas:) but alas, we dont have any giving presents tradition here in da house-.-"
I really want a book of all paper pieced stars! Angela Walters' new machine quilting book. Books of awesome patterns. It's funny I love the net but when i want to really work on a project a book is best. I wouldn't mind a few new techniques to be thrown in too. I've been seeing posts about a new book "Modern Designs for Traditional Quilts" or something like that. I have added it to my wish list. The giveaway books look awesome too! Definitely Lisa Lam's A Bag for All Reasons! I really want the Fat Quarterly Shape book you are giving away and I would also love to have both of Angela Walters' books. I've been looking at the fabulous frocks dress book...the with updated sewing patterns based off of iconic dresses! I don't have a particular book on my wish list but I always love a good quilt book! I would enjoy winning the Fat Quarterly Shape book you are giving away and I would also love to have both of Angela Walters' books FMQ books. Thanks for the chance. Wow...would love ANY Quilting kind of books......& the Fat Quarterly Workshop sounds like a grrrreat "NEEEEEED" tho!! My wish list is almost all books! I can't wait to get Angela Walters new book! Both of these books are on my list as well! Thanks again for the opportunity! I have both of those on my wish list, I hope Santa has been paying attention! At the top of my list however is the new Angela Watters book. Anna Maria Horner's Needleworks book, can't wait to get my hands on it! I really really want the Shape Workship For Quilers. little stitches. Thanks for the chance! I would love to have the Doodle Stitching book or any of Country Bumpkins A-Z publications. I want the new Quilt Relish book! The Farmer's Wife--I know, I'm late to this party. I would love any book on clothing. Wow, Bth of these boks are on my wishlist! But also....Skip the Borders, and the Farmers Wife Quilt book, and Denyse Schmidt's book, and more boks-- I had better go renew my list! No wishlist as I tend to just keep an eye out for secondhand bargains. These ones look fab though. I'd love to get "Skip the Borders" or Angela Walters' new FMQ book. Thanks for a wonderful giveaway! 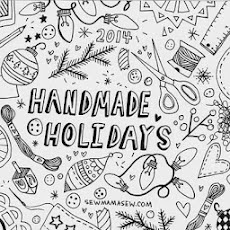 I've got a few on my wish list including Jenean Morrisons Pattern and Design coloring book! I would love to have the Shape Workshop book. 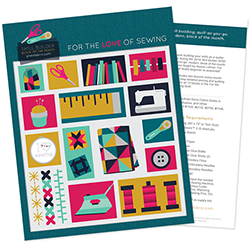 The Lark Doll Quilt book looks great! 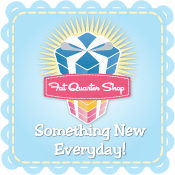 The best book for me right now is the Fat Quarterly Shape Workshop for Quilters. I am just learning and this one looks to suite me!! I'm wishing for Heather Ross prints. I may just buy it for myself.